ComicBook.com caught up with Cress Williams (Jefferson Pierce/Black Lightning) as well as Christine Adams, who plays his ex-wife, Lynn, on a recent carpet for The CW’s Upfronts presentation. 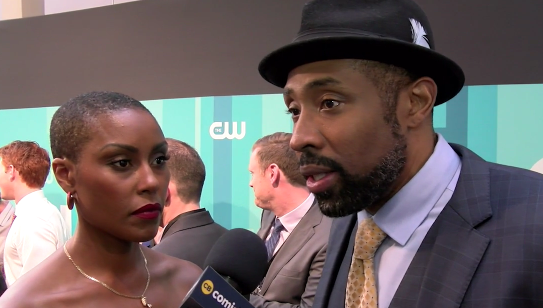 The full interview which includes video can be found here; among the subjects discussed included the kind of show that Black Lightning will be. Black Lightning will hit TV screens at midseason, which probably means it’ll be around January at the soonest. Come talk about your Black Lightning excitement on the KSiteTV forum and be sure to follow @BlkLightningTV on Twitter!